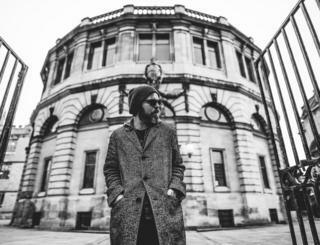 A Grade I listed building designed by Sir Christopher Wren is to mark its 350th anniversary with a concert by Gaz Coombes. The former Supergrass frontman will be backed by an orchestra at Oxford's Sheldonian Theatre. The concert takes place on 19 May, with tickets on sale from Monday. All proceeds will go to local charities Yellow Submarine and Young Women's Music Project (YWMP), which will also provide the support act. Composer and former music student Luke Lewis helped entice Coombes to perform. He said: "Since our paths crossed, the idea of bringing Gaz - undoubtedly one of the finest songwriters of his generation - to the Sheldonian with an orchestra has been a little dream of mine. "Through a mutual friend, Gaz's guitarist Nick Fowler, we put our heads together and hatched a plan." Coombes, who was Mercury Prize-nominated for his 2015 album Matador, will be supported by musician Suzy Bowtell from the YWMP. YWMP director Zahra Haji Fath Ali Tehrani said: "Being able to showcase local female musicians in a venue like the Sheldonian will be a first for us. "We are delighted to be on a bill alongside such a high act and shed light on what YWMP contributes to Oxfordshire." The Sheldonian was the first major design of Sir Christopher and opened in 1669. It has hosted many celebrated concerts, including the first performance of Handel's oratorio Athalia in 1733. It is the official ceremonial hall of the University of Oxford.